Windows 10's default app isn't the best option for unruly inboxes. Try one of these instead. If it feels like your inbox is managing you rather than the other way around, a new email app may be the answer. Windows 10’s minimalist Mail app is fine for basic sending and receiving, but if you have multiple email accounts, have a large contact list, or like to organize your messages into many folders, it falls short. Luckily, there are a variety of email apps available that combine Mail’s streamlined design with robust features for your advanced email needs. Here are three of the best. With Mailbird, Windows users finally get what Mac users have long enjoyed—a sleek, lightweight email client that’s easy on the eyes and won’t slow down your system. Mailbird’s customizable folders give you plenty of ways to manage your messages. Mailbird includes a bunch of features that help you work more efficiently, including a unified inbox that makes it easier to manage multiple email accounts, custom layouts so you can have the ideal workspace for your screen size, and the ability to search messages by clicking on a sender’s profile picture. It also integrates with popular apps like Dropbox, Google Docs, Twitter, and Facebook. 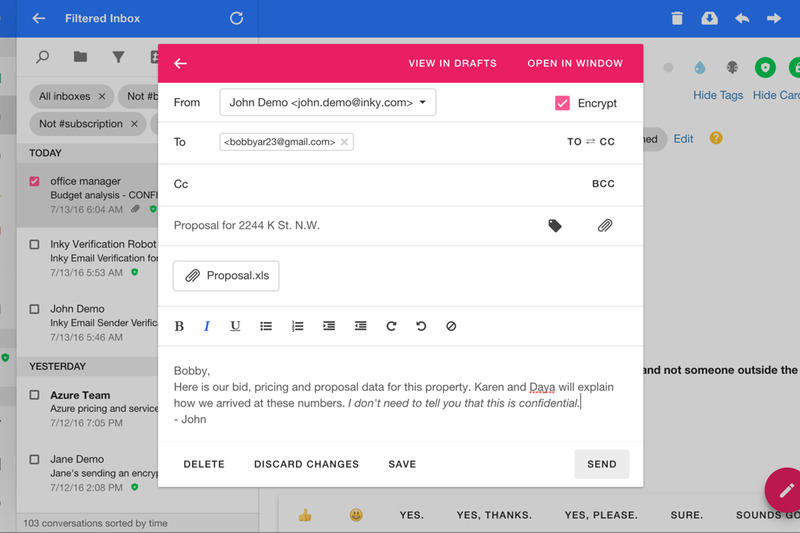 Mailbird is free to use, but to unlock all its features you’ll need the pro version, which costs $1 per month. A lifetime pro subscription is also available for $45. Email clients often try to cram every conceivable feature into their interfaces. eM Client takes the opposite approach, stripping down email to its bare essentials. 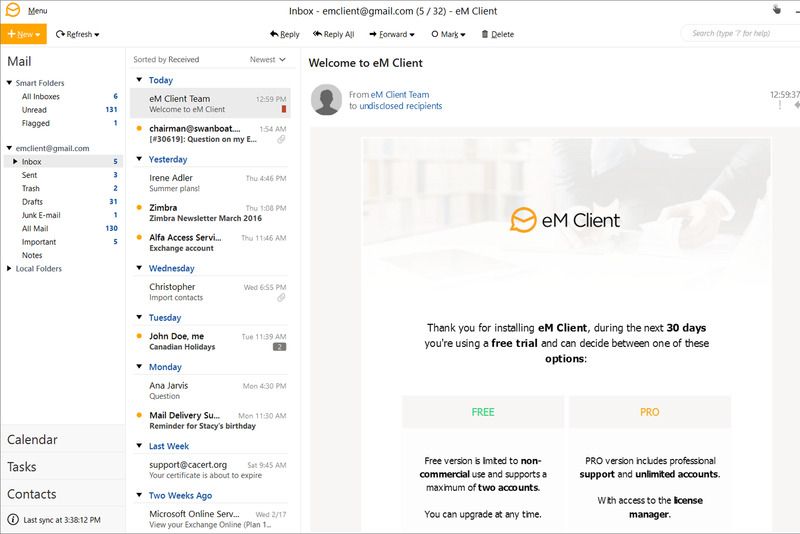 eM Client offers several different ways to view your inbox. 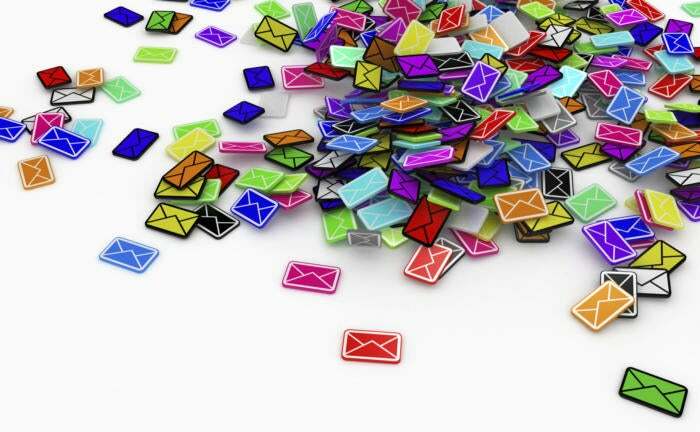 eM Client boasts a range of features for handling your email, including advanced rules management, mass mail and delayed send, and a built-in translator for incoming and outgoing messages. It supports signatures, quick text, and tagging and categorization for easy searching. eM Client also includes robust calendar features, comprehensive contact management, and integrated live chat. eM Client’s free version includes all these features but only allows you to import a maximum of two profiles. If you need more than that, you can upgrade to the pro version for $50, which lets you import unlimited profiles. Inky boldly proclaims that “Email is broken and Inky can fix it.” Specifically, it wants to tighten security so individuals and businesses can keep emails with sensitive information safe from prying eyes. To that end, Inky uses end-to-end encryption with digital signatures on all outgoing and incoming email. You can encrypt messages in Inky just by checking a box. Despite the extra security features, Inky remains an attractive, easy-to-use app that can help you more effectively manage your inbox. Incoming messages are automatically sorted into specialized mailboxes, such as Personal, Subscriptions, Attachments, Package Tracking, and Social, for all your social media notifications. Inky will also automatically tag messages, based on criteria like the sender or contents, for easier searching. You can use all of Inky’s features free for 14 days. After that, you’ll need to subscribe to a pro account for $5 per user per month.